The Guardian recently published my video on the lives of workers involved in an industrial dispute in upstate New York. After 105 days on strike, 700 workers at the Momentive chemical plant in Waterford returned to work on February 20th. 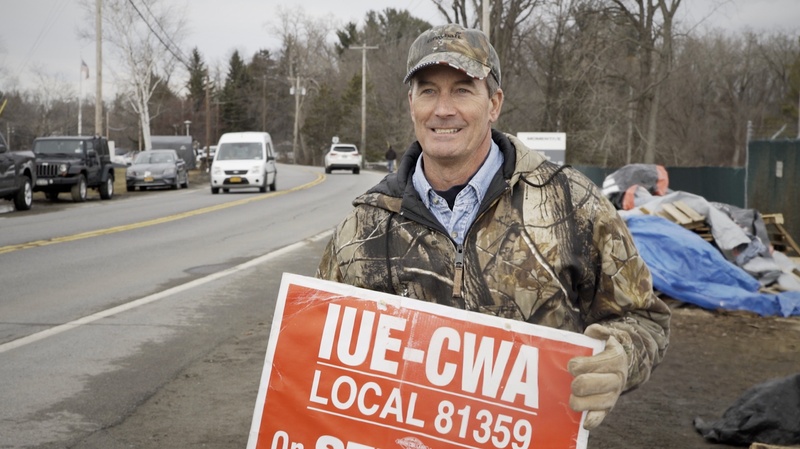 Momentive workers had walked out to resist the imposition of a contract that would have slashed pensions and health insurance, an issue of particular concern to those exposed to hazardous chemicals in the workplace. In returning to work, Momentive employees agreed a compromise-deal with management that avoided some – but not all – of the cuts to their benefits package. My video-story as it appeared on the frontpage of the Guardian, February 24th 2017. 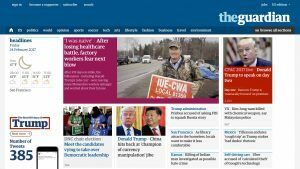 I researched and pitched the Momentive-dispute story to the Guardian a couple of weeks before the strike concluded and travelled up to Waterford with Guardian US business editor, Dominic Rushe. You can read his excellent report here. For me, this story is an example of the ongoing assault on American blue-collar jobs, an issue that helps explain Donald Trump’s victory in the November presidential election. Indeed, the Momentive chemical plant sits in a district that voted Trump and many Momentive workers supported him despite Trump’s history of hostility toward organised labour. As if to confirm this hostility, in December Trump appointed Stephen Schwarzman, one of Momentive’s owners, as his “Jobs Czar”. Schwarzman is a private equity billionaire whose business is in-part built on undermining labour-rights – not just at Momentive. His seat of influence in the Trump administration is one reason why many Momentive workers returned to work feeling bitter, resigned to a future that will likely see further cuts to their pay and working-conditions. As Jack Mack, Momentive worker, recently recovered from cancer, says at the end of my video, “Its not good…. We work in a hazardous environment. And here we are fighting for healthcare”.